I have travelled extensively in Northern Nigeria, and have colleagues who are deep-rooted in the local communities. As the year comes to a close, we have one conclusion: the biggest investment opportunity in Northern Nigeria over the next decade would be water resources and water related projects. 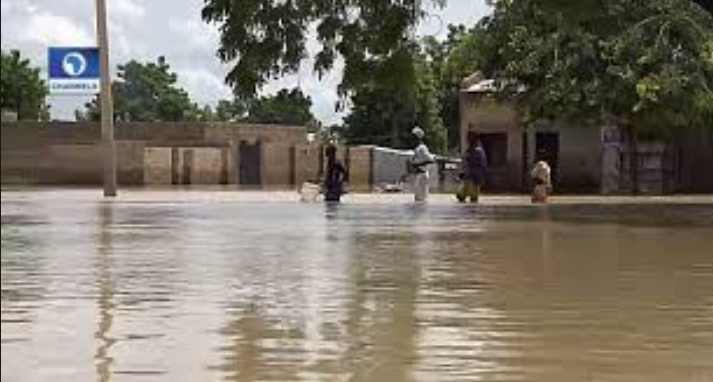 I was in Jigawa State few weeks ago when flood took over communities. Simply, the northern part of Nigeria is going through a structural redesign. Climate change is real; communities are displaced because things happen. The biggest challenge is Lake Chad which is now just 10% of its initial size. With no water, cattle are ravaged and young men are running away from the lands to Europe. The 2031 Presidential election in Nigeria will be won (in that region) by any contestant with vision to offer what can be done in that corridor. The migration from Sub-Saharan Africa to Europe across the Mediterranean Sea is just starting. And the herdsmen crisis cannot be talked out because before the native herdsmen near the Chad, there is only one option: move South and try to survive since staying in the North is extinction. I have provided some roadmaps (certainly not perfect) on how government can deal with the herdsmen-farmers classes here. Afforestation of Northern Nigeria: The government has to invest resources to fight the desertification that is happening in northern Nigeria. That way, herdsmen can stay in their ancestral lands and graze. As they look hopelessly watching grasslands become deserts, they would make choices. And without directions, they are coming southwards to battle for their trades. The failure here is government which has not planned for this day despite the signs. Modernization: Farmers do not need to be nomadic in this age. Yet, for decades, Nigeria has failed to develop any policy to redesign the business. Of course, there is no industry government has done anything of value. With lack of formalization in the nomadic business, you do not expect them to transmute into modernized farms. Can government turn nomadic farming into settled farming in a modern way? There are many ways this can be handled with great results. Technically, make these farmers ranchers. Lease Partnership: The federal government at the interim can map out a huge sum of money for a temporary fix. It can use that money to lease lands in some southern states from state governments mainly in areas farmers are not using. The goal here is to lease the land, compensate (and keep paying) the original owners of the lands and then work with the herdsmen to graze there. To do that, government would devise a structure in this enclave where all sold cows would be taxed and a part of the profits going to pay for the lease. Yes, the herdsmen would pay for the lease through the government. Government can use this model to manage the crises over the next fifteen years while it finds a permanent solution to handle the deforestation issue in the north. Once that is done, it can relocate the herdsmen back to their ancestral lands. This lease arrangement should be structured to be renewal every five years. Yet, for the private sector, these challenges provide opportunities because a major dislocation is coming in the land. Conservation, water usage efficiency, precision agriculture, recycling, etc, are going to be impactful in coming years as these paralyses scale. Nigerian government can help by encouraging private sector participations in fixing these emerging huge market frictions. If they do not fix Lake Chad, Central Africa would experience huge problems in coming years. The capacities of the governments of Nigeria, Chad, Cameroon and Niger to find solutions to Lake Chad would anchor the stability of the region. Lake Chad is now 10% of its initial size, and the natives who have depended on it have one option: move out as hanging around will lead to extinction! From migrating to Europe by crossing the Mediterranean Sea to moving South with cattle, triggering crises with farmers, what we are experiencing today cannot be compared when Lake Chad becomes pure grassland. People, we like to talk of oil wells in Niger Delta. Watch out, we would be talking of water reservoir rights in 20 years in Northern Nigeria and those could be huge for holders! To preserve, conserve, manage and renew water, government has to innovate. The present model where water is largely a free resource must evolve, and if government does not have resources to manage it, it is time to move it from government to private sector. Tough choices ahead!